Antriksh Group has developed a new residential area named Antriksh Urban Greek. It offers well designed and affordable 2BHK, 3BHK and 4BHK apartments. This area is designed to provide perfect and maximum living accommodation to the customers with regular electric power supply, ventilation, eco- friendly environment and security. The clients can purchase any furnished apartment with customized option to choose from various categories. After the grand success, this time Antriksh Group presents luxurious apartment with air conditioning, woodwork, club, solar lights for common area and many other features. They design this project to provide comfortable, attractive and happy living within reasonable price. Delhi L Zone Dwarka 2500 Sq.ft. Delhi L Zone Dwarka 1900 Sq.ft. Delhi L Zone Dwarka 1850 Sq.ft. Delhi L Zone Dwarka 1600 Sq.ft. Delhi L Zone Dwarka 1550 Sq.ft. Delhi L Zone Dwarka 1300 Sq.ft. Delhi L Zone Dwarka 1100 Sq.ft. Delhi L Zone Dwarka 900 Sq.ft. Delhi L Zone Dwarka 760 - 3150 Sq.ft. 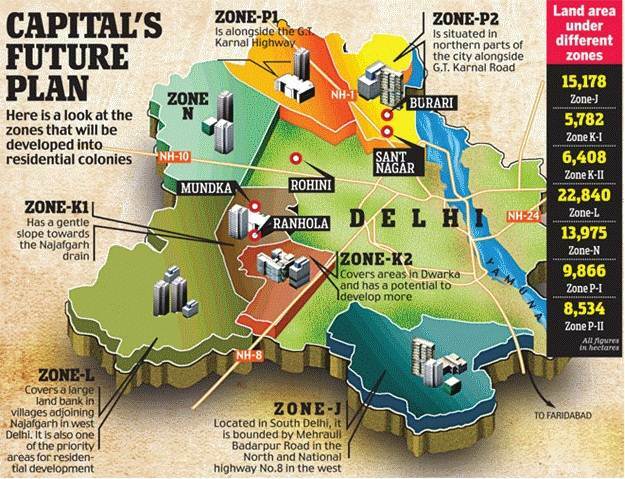 Delhi L Zone Dwarka 900 - 2500 Sq.ft. Delhi L Zone Dwarka 1050 - 2150 Sq.ft. Delhi L Zone Dwarka 975 - 2100 Sq.ft.